TEHRAN, IRAN (BosNewsLife)-- An Iranian court has sentenced two Christian men of Iran's main evangelical denomination and house church movement to eight years imprisonment while a Christian woman received a one-year jail term for undermining the Islamic state's security and system, activists confirmed Thursday, January 11. 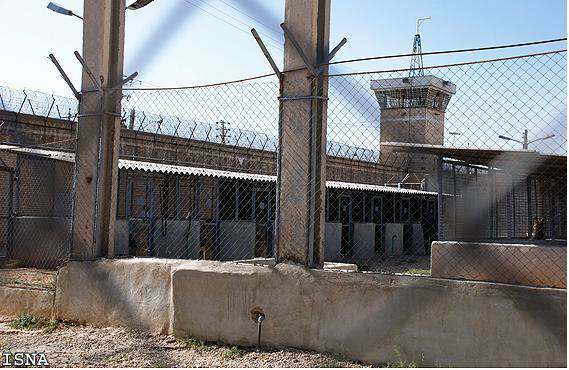 The 4th Chamber of the Revolutionary Court in the southern city of Shiraz said Suroush Saraie and Eskandar Rezaie of the Church of Iran should serve seven years each behind bars for "creating a group that works against national security," and an extra year for "propaganda against the state," BosNewsLife learned. Both men are appealing the December 28 verdict. Zahra Norouzi Kashkouli, a devoted Christian woman, was reportedly sentenced to a year in prison during the same hearing for "being a member of a group working against the system." She too is appealing the ruling, her supporters said. Advocacy group Christian Solidarity Worldwide (CSW), which closely monitored the trial, condemned the sentences. "These unwarranted sentences are yet another example of the unjust treatment of Iranian Christians, who are being criminalized on account of their faith," said Mervyn Thomas, CSW's chief executive. "We call for these convictions to be overturned, and for the Iranian government to end its harassment of religious minorities," he told BosNewsLife in a statement. Saraie and Rezaie were initially detained in October 2012 along with five other Christians during a security raid on a prayer meeting, according to Christians familiar with their situation. They were found guilty of "action against national security" and "propaganda against the order of the system," for which Saraie got a two-and-a-half year sentence in July 2013. The verdict was upheld on appeal, and he was jailed in July 2014. Rezaie received a one year sentence, which he began serving in July 2015, Christians said. Saraie and Rezaie were released in November 2015 but in July 2017 they were detained and returned to Adelabad Prison on new charges. The two Christians were released several months later after meeting bail payments of $95,000 and $140,000 respectively, CSW said. It was not immediately clear whether the Christians will be able to await their appeal against the latest verdict outside prison. Their supporters have condemned the ruling saying Article 23 of the Iranian constitution states that "the investigation of individuals" beliefs is forbidden, and that "no one may be molested or taken to task simply for holding a certain belief." CSW said the latest cases against Christians is part of a government-led crackdown. "There has been a rise in arrests of members of minority faith communities since the advent of the Rouhani presidency...Christians have routinely been charged with national security-related crimes to justify excessive sentences." It comes amid growing pressure on Iran's Islamic leadership. Since late December, anti-government rallies have left more than 20 people dead. The protests broke out in the northern city of Mashhad on December 28, 2017, spurred at first by concern over the country's economic troubles and high prices of goods like eggs, which saw a 40 percent jump in price. However, the protests spread and would turn into an open rebellion against Iran's Islamic leadership itself with some demonstrators even shouting “Death to the dictator!” — referring to Supreme Leader Ayatollah Ali Khamenei — and asking security forces to join them. The protests come amid mounting public frustration that the establishment suppresses social freedoms and political openness. It remains unclear when or if the demonstrations will improve the situation of minority Christians in the Islamic nation.